Quite often I refrain from doing these bottle reviews as I know what I like and that’s about it really. Plus there are bunch of guys out there doing a grand (and much better) job of virtually placing the malt into your mouth with some entertaining flavour notes. 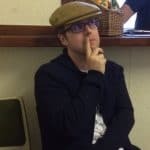 However as the winter months arrive, those distillery tours become harder to accomplish and I have to do something at least! 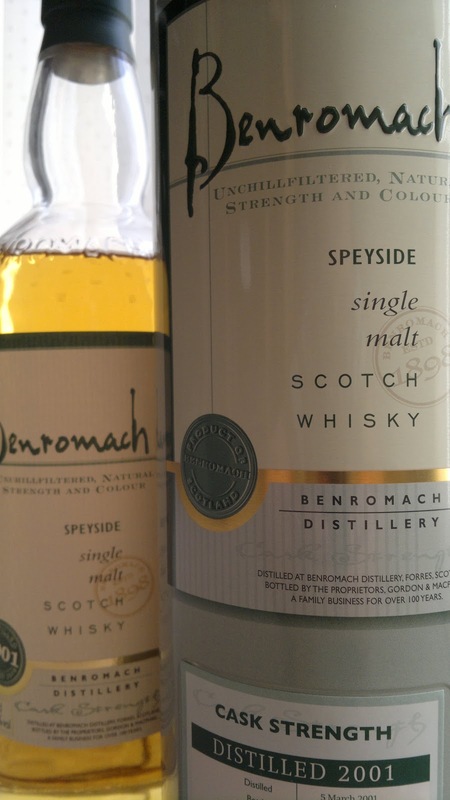 When I visited Benromach earlier this year it was the first distillery in what was a hectic few days on Speyside. My instant memory was timing the car journey over the railway line that passes the distillery otherwise you’d have to sit for ages and thereby miss the tour! Apparently this happens a lot so watch out if you have the pleasure of visiting the guys up at Benromach. Owned by Gordon & MacPhail, the distillery is experimenting with various finishes and barleys whilst still giving us a core range that deserves exploration. 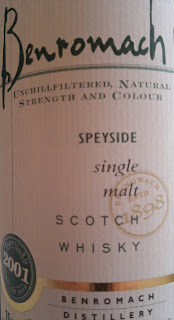 This cask strength bottle was my 2nd favourite at the distillery that day. The 30 year old is very affordable and highly recommended; expect to pay around £130 for that, which is a bargain compared other distilleries. I also enjoyed the Peat Smoke release as well. Plenty of choice is guaranteed and a warm welcome. Colour: Amber, honey, golden syrup, marmalade. You can tell this is a 1st fill bourbon! Nose: Vanilla obviously but some spice residue is noticeable. Without water you can feel that alcohol reaching into your inner depths and the burn, maybe chilli. Adding water certainly tames the beast but you’ve really got to dig deep to sample honey (again), orange, lemon peel, tablet. Mouth: Without water it’s only recommended to warm you up after a winter’s evening. With water and the amount varies according to taste things develop. A few drops are needed here. 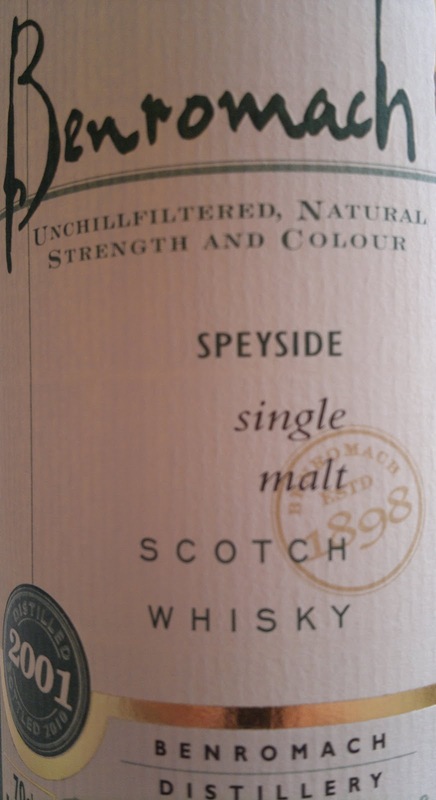 There’s a creaminess arriving now, evident sweetness flavoured by liquorice and jelly babies, a grassy note before a slight peaty influence. A mild finish rounds off what is a deceptive dram. A few drops of water and the alcohol is tamed but I’m sure will sneak up on me later on. Even by just removing that slight edge, this still remains a robust dram, showcasing what whisky can do in its natural guise. I’d be really interested to see how these casks develop as older releases. 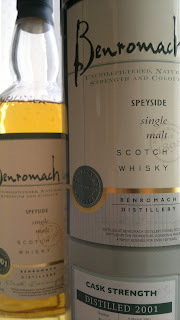 I always have time for Benromach who really have released some excellent whiskies of late. I’m a big fan of their 10 year old and they..